I knew when we went to decorate our soon-to-arrive baby’s room that I wanted there to be some nature art on the walls (no great surprise there if you have seen the rest of our apartment!). 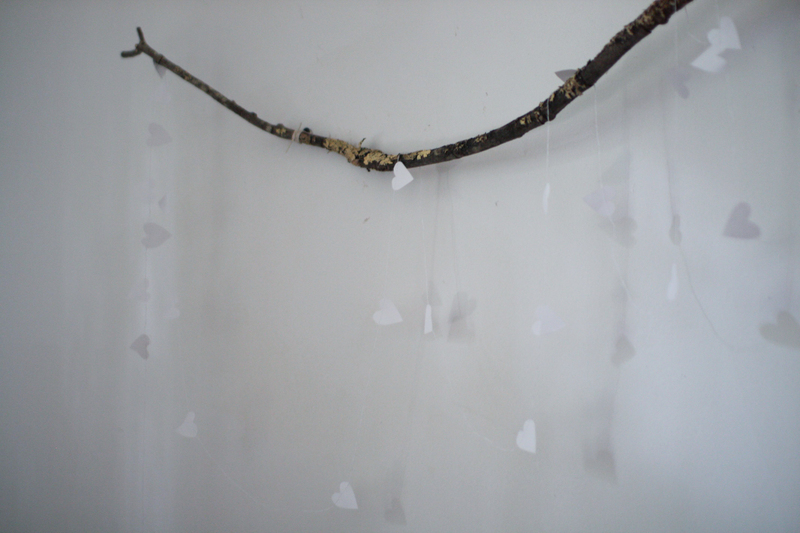 I recently made a couple of things in that vein, one of which was this branch garland. In case you’d like to make your own, here’s a very simple how-to! Start by cutting your paper into small squares, then stacking them three or four high. 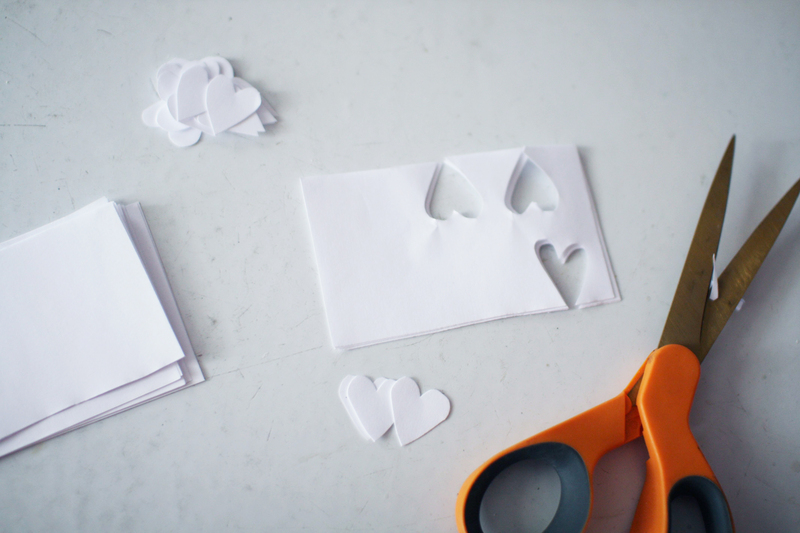 Use your scissors to cut freeform hearts from the paper – don’t worry if they are a bit misshapen or irregular, that’s part of their charm! 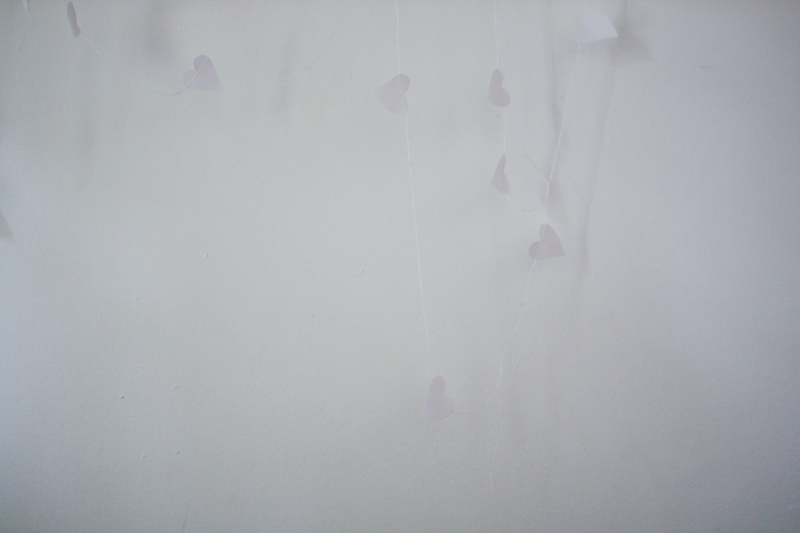 Each of my hearts measured about 2cm x 2cm. 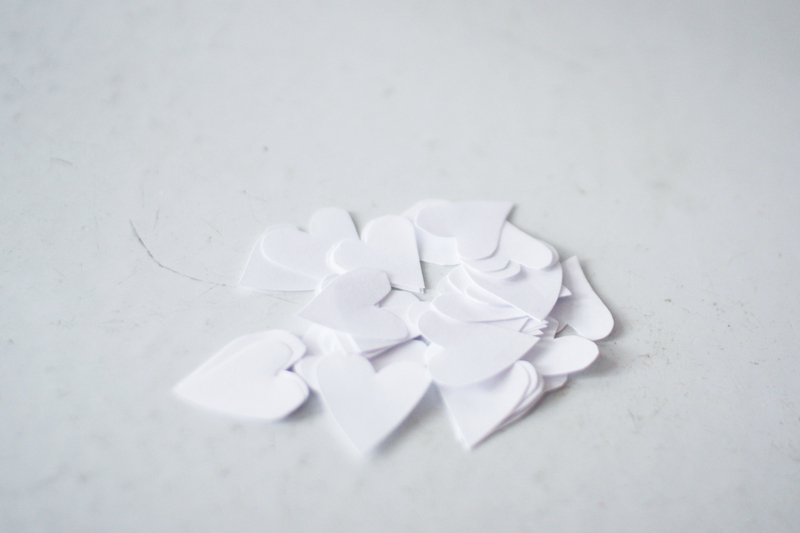 Stop when you have a good stack – I cut about 50 hearts total. 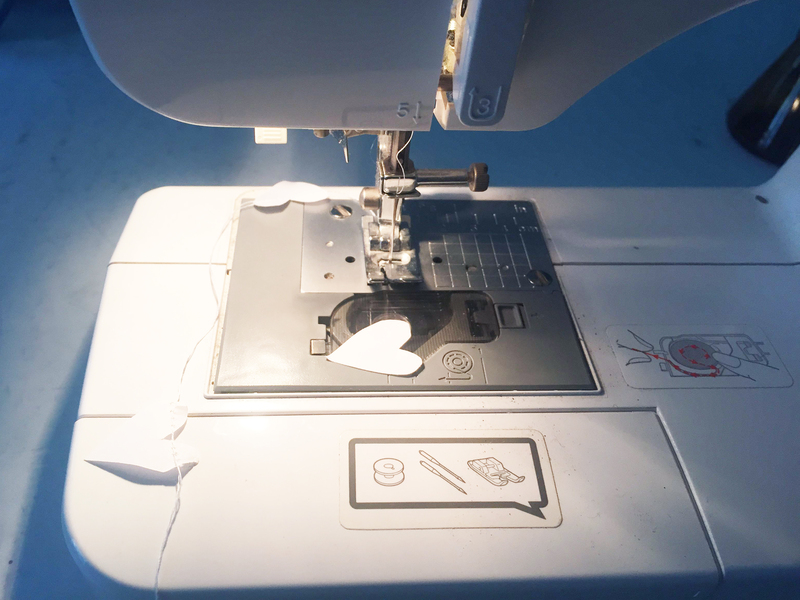 Thread your sewing machine with white thread and, leaving a 30-40cm piece at the end, start sewing through each heart. 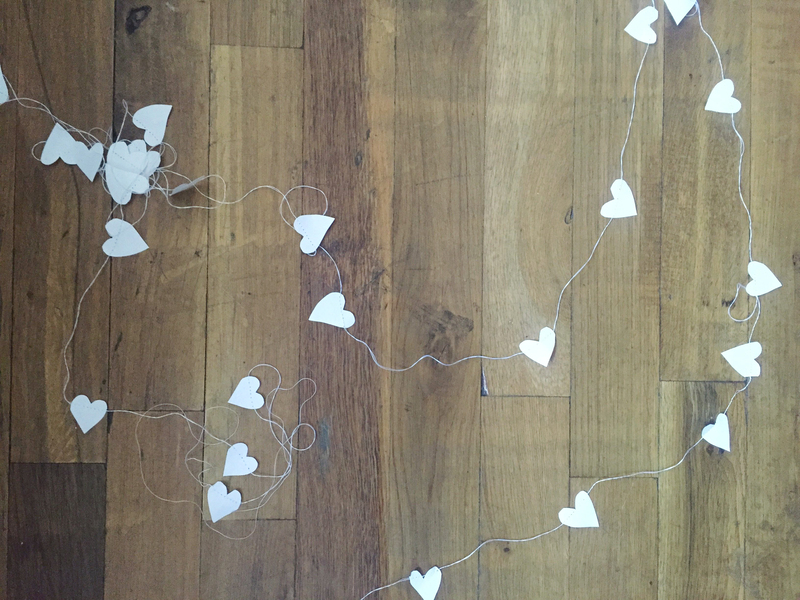 After sewing through each heart, pull the thread from the back to keep it taut and leave a gap of a few centimetres between each of the hearts on the thread. Try to keep the thread laid out to avoid it getting tangled. Once you’ve sewn through the last heart, leave another 30-40cm of thread at the end. 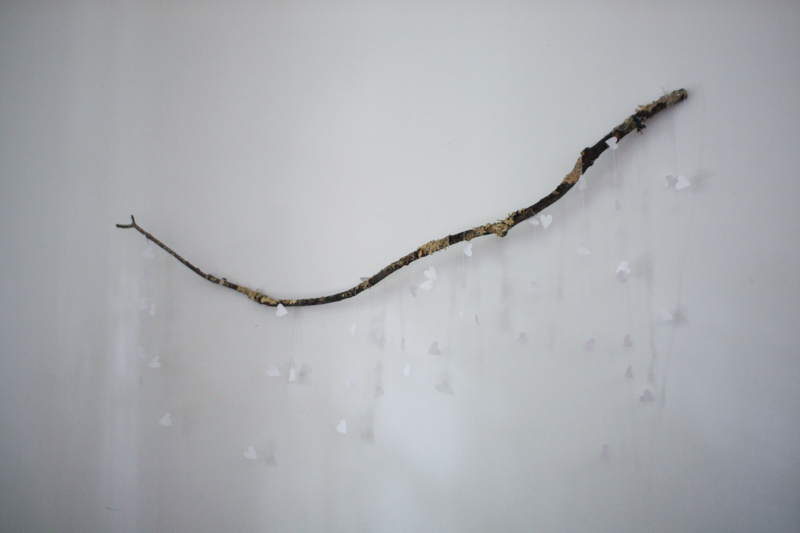 Mount your branch on the wall before draping your hearts over it. I mounted this one by attaching two screws to the wall, leaving the heads sticking out a little, then tying a piece of twine around each screw and wrapping that around the branch. Make sure you work out first the best points to attach the branch to the wall. 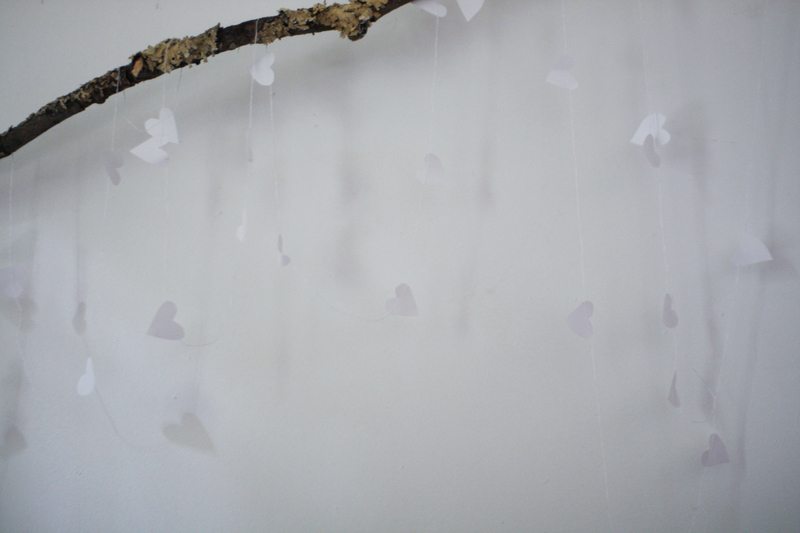 Once the branch is mounted, carefully drape your hearts over the branch in loose loops. We have this on the wall above the baby’s cot, but it really would look nice in any space, I think. 31 Aug	This entry was published on August 31, 2015 at 11:31 pm. It’s filed under make and tagged baby, baby's room, DIY, nature, nature art. Bookmark the permalink. Follow any comments here with the RSS feed for this post.